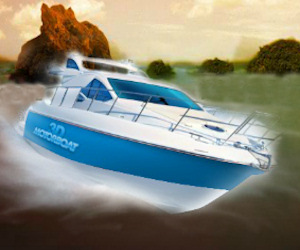 Description Play 25 challenging levels, buy new upgrades for your boat and avoid the other boats and obstacles. Collect the special fuel and shield bonus items. Upgrade the steering for better handling. If you can fill the challenge meter, the level will be completed quicker. Race close next to the other boats for combo bonus points. A 3D game with lots of cool features. Try it today. Controls Mouse or arrow or WASD keys, see the ingame instructions. This is very nice. I felt like in some PC game for a while. Well made!